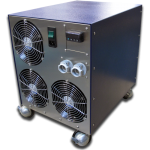 To meet an Aerospace manufacturing customer requirement TECA sales and engineering team modified a standard model chiller to meet a highly specialized demand of the application, including liquid cooling, 24 VDC input and wall mounting. 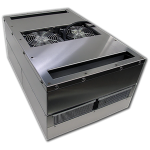 This recirculating liquid chiller was developed for a customer who needed something similar to the TECA LHP-300CP chiller; but it had to be a liquid cooled liquid chiller – it had to be 24 VDC input – and it had to be mounted on the wall! 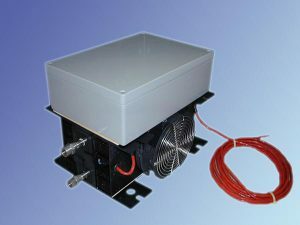 The application is X-Ray inspection of aircraft engine parts. 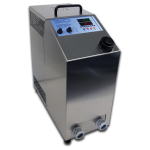 Temperature controlled water is circulated through a heat exchanger which is keeping photo diodes nice and cool, assuring quality X-Ray imaging. 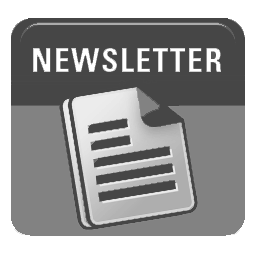 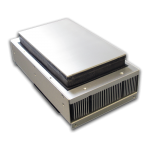 A customer serving the national security market specializes in remote sensing solutions. 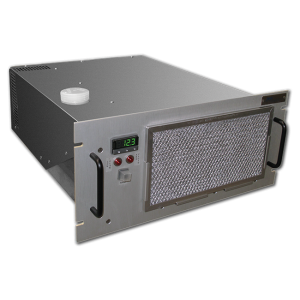 TECA Corporation’s thermoelectric, rack-mounted RLC-1400 Liquid Chiller improves the customer’s product efficiency by reliably cooling a laser and high-power electrical components, as part of an airborne system. 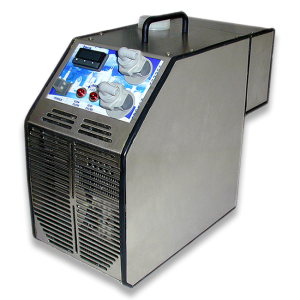 TECA’s RLC-1800 Rack Mounted Liquid Chiller offers powerful cooling as a component in the customer’s testing procedure. 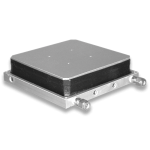 The customer, developing testing for a radar system, has a device under test (DUT) which contains cold plates. 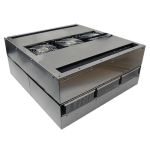 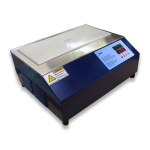 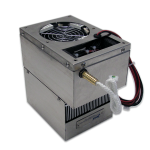 TECA’s RLC-1800 provides liquid cooling to the cold plates and prevents them from over heating during the process. 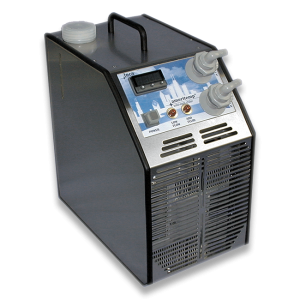 The RLC-1800 is the most powerful liquid chiller we offer, with 620 watts cooling capacity. 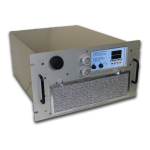 The customer uses the TECA TLC-702HC in a heating and cooling process in a laboratory setting. 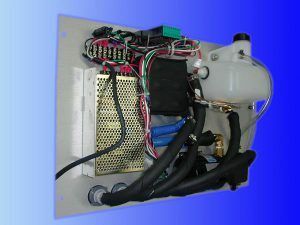 The customer’s PSA system is removing CO2 from flue gas and drying and analyzing the flue gas. 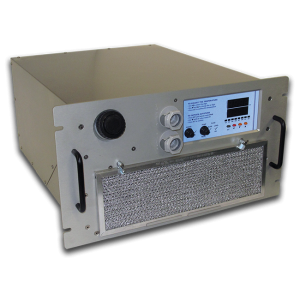 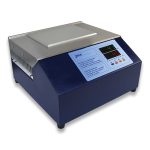 The TLC-702HC is available in 120 or 240 VAC versions. 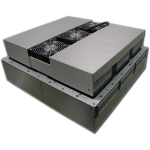 Heat/Cool or Cool-Only configurations are available.